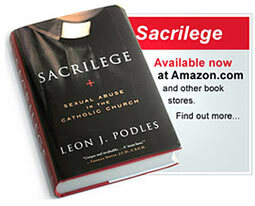 Dr. Leon Podles is the author of two books including Sacrilege, an in-depth look at sexual abuse in the Catholic Church. His writing has also appeared in numerous publications. 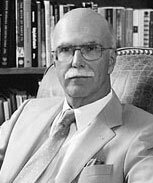 "Leon Podles is a scholar and an intent and committed Christian . . . He pulls no punches . . ."
crisis of the largest institution in the world. Watch Leon Podles explain why he wrote Sacrilege. 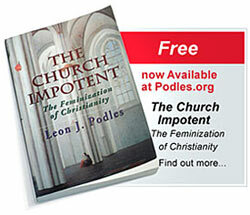 You can now get Dr. Podles first book, The Church Impotent: The Feminization of the Catholic Church, in PDF format by clicking here. at no cost as a thank you for visiting Podles.org. © copyright 2010, Leon J. Podles. All rights reserved. Powered by Snogren Design.